Chain Conveyors is generally used in conveying palette and special applications. The actuation is given to a gear, which is fixed by chains with an engine-reduction system. 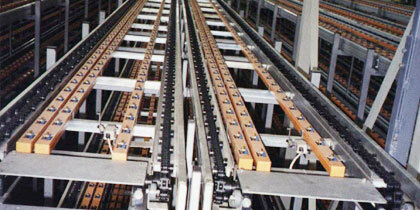 The project area and movement ability of these kinds of conveyors is quite flexible. They are used in lots of sections including a wide conveying area; for example sophisticated elevator systems to duds needing straps.